It's REALLY hard to memorize new information super-fast and make it stick in your head effectively. ...it's a technique that's helped me get millions and millions of views on YouTube, and helped thousands and thousands of my students around the world transform how they learn. Less than 1% of students know how to memorize effectively - based on the results of those millions of video views - which is crazy! When I was still in college, a professor told my class that you need to visualize what you want to remember. At the time, I brushed it off with the thought "Yeah, but there's no way you can visualize everything I need to know for exams." Wow, did I get that wrong! It wasn't until much later, after I'd trudged through many more years of painful study and was working full time, that I learned the power of visual memory techniques. That was a bitter sweet moment. Half of me was incredibly excited because I'd discovered I had a super power memory that could do absolutely stunning things. But I was also kicking myself. I'd just completed my formal education, and honestly - I performed way below what I knew I was capable of achieving. And now, I'd discovered it didn't need to be that way at all. I quit my corporate job and became a memory coach. I didn't want anyone else to struggle with memorization and learning when they could be absolutely crushing it! 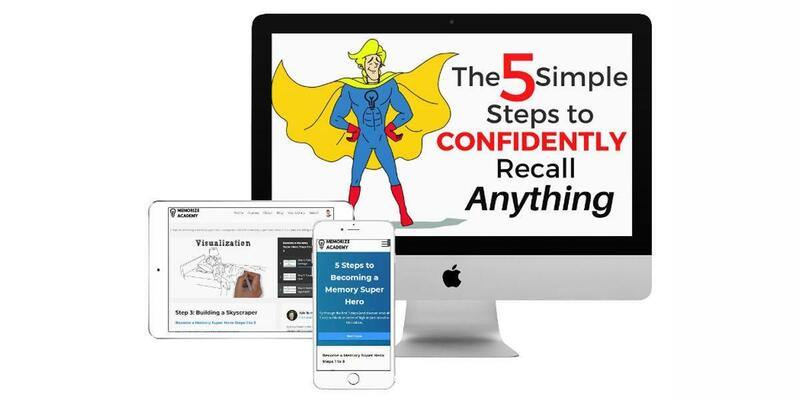 Fast forward a bit, and now I'm the most viewed memory coach in the world, and I've helped thousands and thousands of students around the world to memorize fast and effectively. My video training is one-of-a-kind. I'm pioneering the use of whiteboard animation videos to teach best-practice memorization techniques. Memorize Academy is the most popular memory training for students in the world. It's changing the lives of school students, college students and lifelong learners - and I want it to change your life too. You have an absolutely amazing memory, so let's unlock its potential.